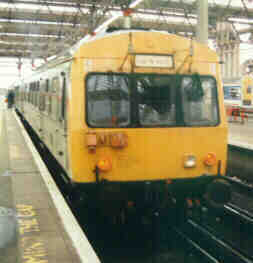 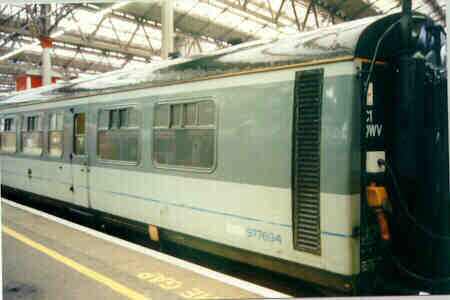 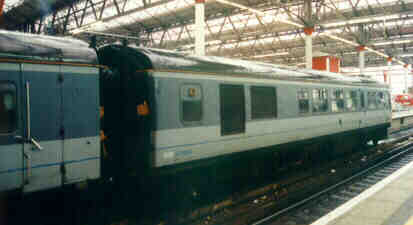 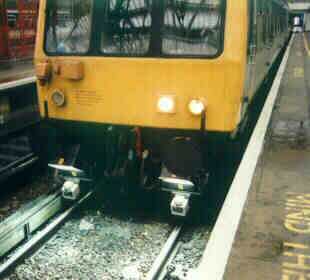 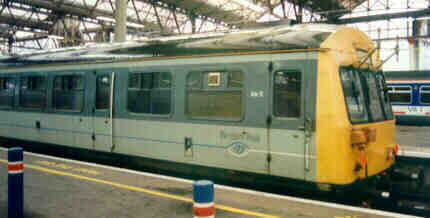 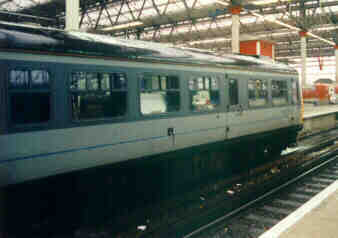 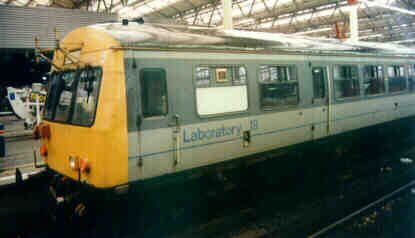 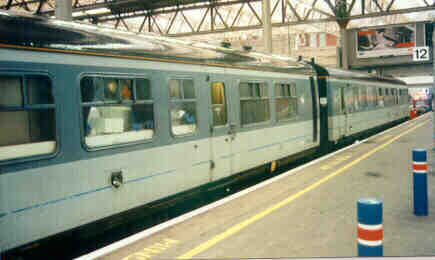 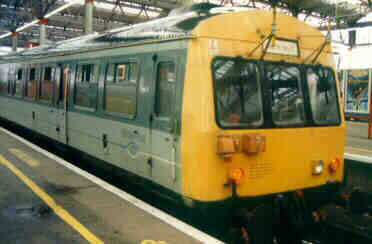 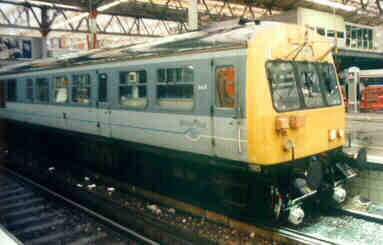 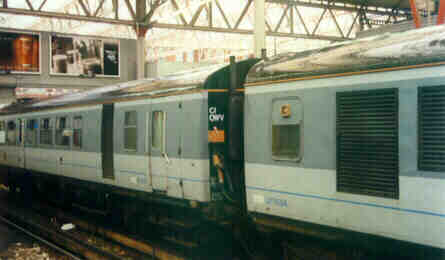 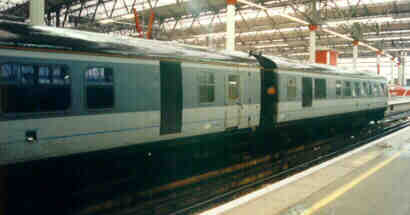 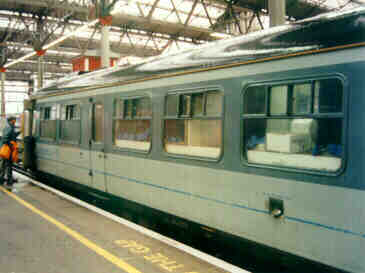 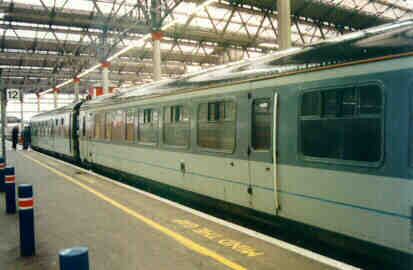 Iris II is one of the test train's operated by on the British railway network, it is a 101 class DMU with specialist modifications which tours the network, these photo's were taken at Waterloo in November 1997. 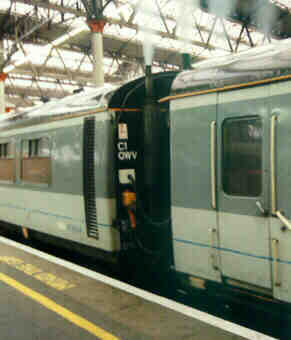 TOP's code QWV. 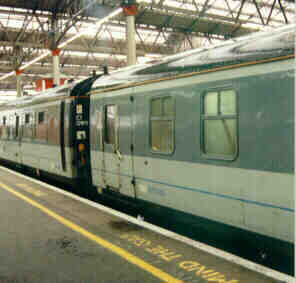 These photo's were taken by me in order to convert one of the DC model's plastic kit's, a task I still haven't got around to. 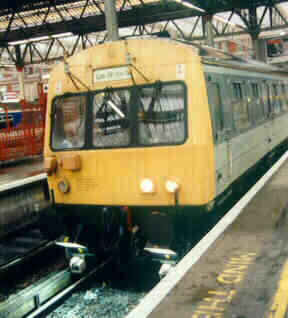 A photo of Iris II passing Evesham is also on page 3 of Rail Magazine issue 325, and in the same issue on page 15 is a photo of Iris the single Derby lightweight car RDB975010 passing Foxton.